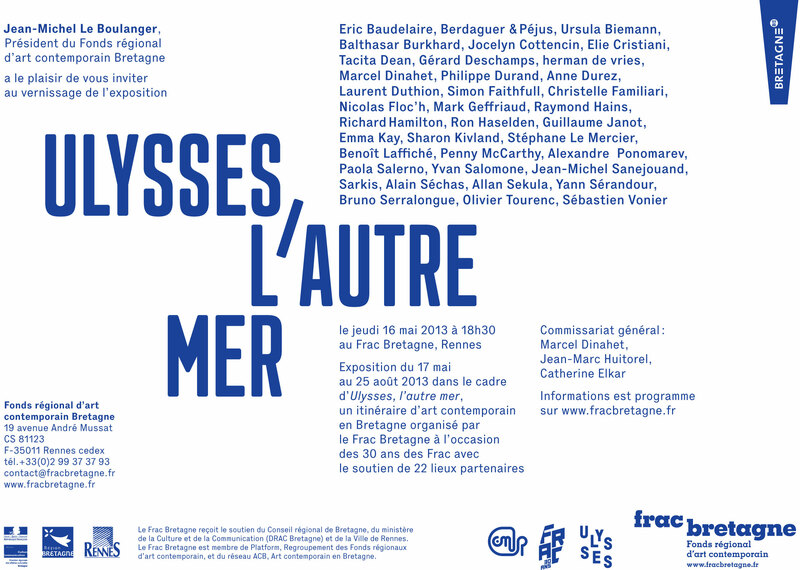 Ulysses, l’autre mer, FRAC Bretagne, until 25 August 2013. If you are passing through Brittany this summer, be sure to look up FRAC Bretagne’s series of new exhibitions organised to celebrate the organisation’s first 30 years. Ron Haselden’s vast Papillon de la Nuit in the grounds of the Manoir des Guerandes just outside of Plouër-sur-Rance coincides with the festivities, and will remain viewable into next year. Posted on May 14, 2013 May 14, 2013 Categories CurationLeave a comment on Ulysses, l’autre mer, FRAC Bretagne, until 25 August 2013.